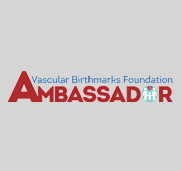 VBF Global Ambassadors are a global network of advocates who are working together with VBF to build awareness of vascular birthmarks and funnel support to every corner of the birthmarks community. In most cases, these are not medical professionals. However, many are either themselves an adult who has or had a vascular birthmark or who has a loved one with a vascular birthmark. In the directory below, you’ll learn more about their personal story. If you or someone in your family has a birthmark and you’d like to speak with others who have had a similar experience, the Global Ambassadors can also help you identify a Parent or Adult Reps who has volunteered to provide personal support to other patients and families based on their own unique experiences. To become a VBF Global Ambassador follow this link to register now or contact Scott Cupples, manager of the VBF Global Ambassador Program. I am Scott Cupples, Lead Ambassador of the VBF Global Ambassador Team. I have lived my entire life with an untreated Port Wine Stain vascular birthmark up until starting treatments last year (thanks to VBF). Of course there have been times where my birthmark has made me feel insecure, but I’ve always had the mentality that it will never keep me from accomplishing what I want in life. 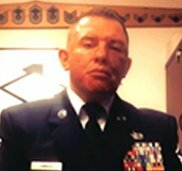 In addition to my role at VBF, I work in corporate finance and serve in the Air National Guard as a First Sergeant. My goal with VBF is to help as many families as possible who are affected by vascular birthmarks, and to continuously spread awareness. My 16 year old son DeVion was born with Klippel Trenaunay Syndrome to his upper body. His younger years were full of constant hospitalizatikns and surgeries, amputations, blood transfusions, ect. We have been blessed in the past with help through the VBF and have continuously helped others as well in our journey! My son Michael has a Port Wine Stain birthmark. He has received many laser treatments since he was 3 months old. I would like to help spread as much awareness about it as I can, which will eventually lead to more acceptance. When I speak about my son and his birthmark it is somewhat like therapy for me. It has been very emotional. I want to help anyone going through the same feelings as I am. I made a personalized book all about Michael and read it to his classmates before a laser surgery. It has been so helpful. Please contact me and I would love to share it with you! Hello! My name is Shelby & I am the mother of Fallon! 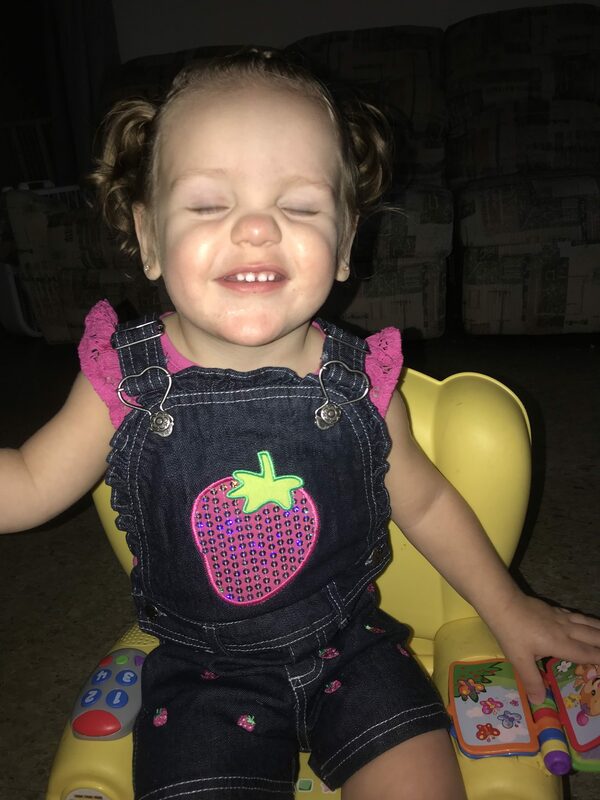 Fallon was born with an infantile hemangioma – which is why she has the nickname “Strawberry Shortcake!”. No one in our family has ever had a hemangioma (that we know of!) and we were unsure of what is was and how to care for it. After speaking with her specialist at a children’s hospital we found out some amazing facts about hemangiomas! Now, we spread awareness around our community and have made new friends that have or have children with hemangiomas! We carry pamphlets of information & hand them out to those who stare or ask questions! We love teaching about them! Hi my name is Stacy and I am 32 years old and lived with port wine stain my entire life. I suffer from earlier morning flare ups and emotional swelling, unaligned spaced out teeth, bad gums on my right side. After entering the adult world I learned to embrace who I am and love the skin that I am in. Kids would make fun of me I’d shy away from the world to avoid anyone noticing that my face was not aligned or swollen on certain days. Today my goal is to reach out to every person who has PWS and tell them how beautiful they are inside and out. Nothing more matters then what is on the inside. 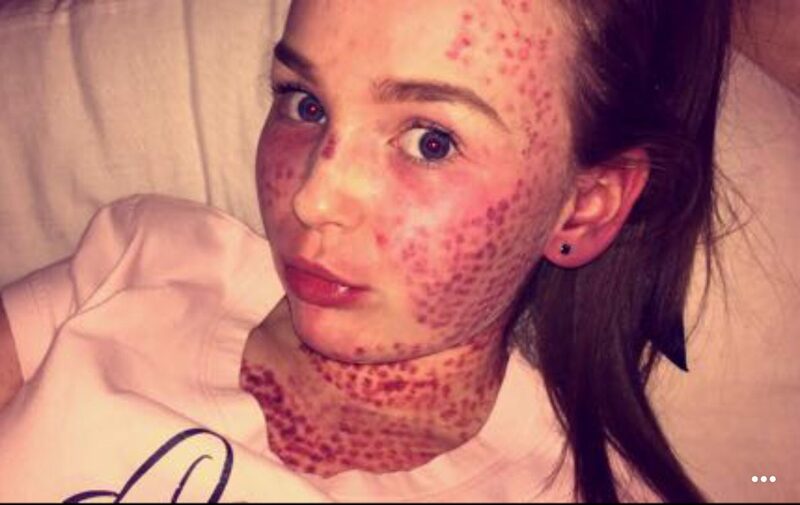 I’m Lucy, I’m 15, and I have a port wine stain, Klippel-Trenaunay Syndrome and hemihyperplasia. One side of my body grows faster than the other, I have weak muscles, bones and immune system and I’ve had over 40 surgeries since I was 10 months old. I’m a dancer and don’t let my conditions stop me from doing anything. Hi! I’m Tammy Morris. My daughter Vivienne is 2.5 years old and was born with a port wine stain on the left side of her face. When she was born I initially didn’t realize it was a port wine stain – the pediatrician was the one to confirm it. New mother emotions had me very worried about how others would treat her and how she would feel about herself. I was quick to search port wine stains on the internet, one of the first sites I found was The VBF website. I read about laser treatments on the stain and how it helped many others. Before I could even say anything about treatment, our regular pediatrician had been in contact with a local pediatric dermatologist. 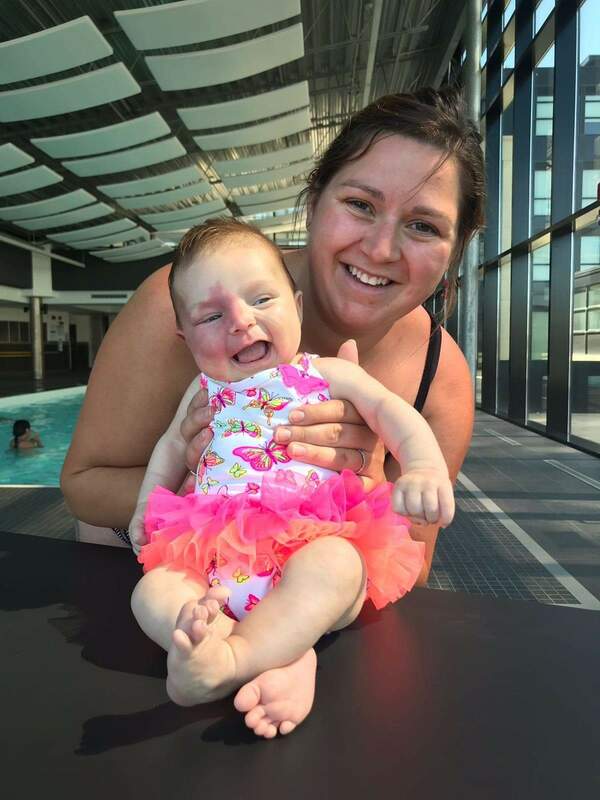 Vivienne had her first laser treatment when she was only 2 months old. Vivienne has had regular treatments, scans and ophthalmology check-ups. We are happy to report, at this time, nothing more has been detected in conjunction with her stain. I am so thankful for all the good The VBF does. 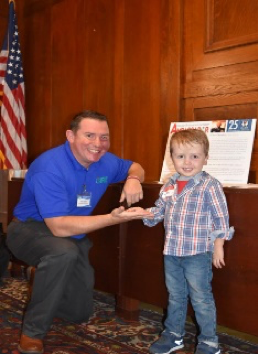 We love helping others be aware and VBF has been a great tool in raising awareness with those around us. My daughter (Chloe) was born with various venous malformations including a large PWS across her chest and right arm. We’ve done the best we can with our doctors at Primary Children’s Hospital, and Chloe is doing well despite her challenges. 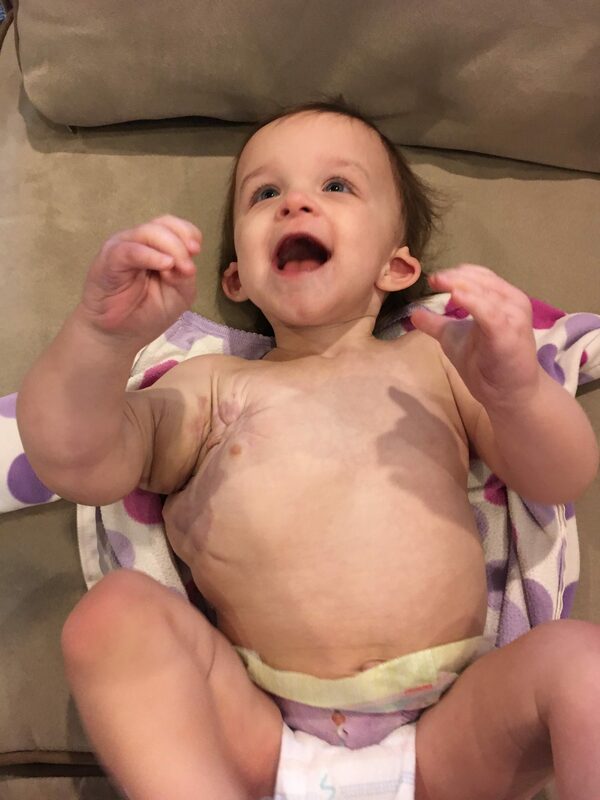 After numerous rounds of sclerotherapy, she’s left with microcystic hygromas and other various venous malformations. I’m thrilled to find this foundation and hope to connect with others! My name is Vanessa and my daughter, Loriana, has a PWS on the right side of her face. Being a first-time mom can be overwhelming on its own, but spending the first sleepless week of my baby’s life researching everything I could about vascular birthmarks made it even more difficult. Thankfully it did not take long to find the VBF and many support groups on Facebook. Every person I communicated with made my PWS journey a little more manageable. While I’m no expert, and still learning more everyday, I would love to give back to the vascular birthmark community in any way I can. I’ve started a Facebook group for families in Ontario and am looking forward to connecting with others in my area. My name is Vanessa and I was born with a Port Wine Stain birthmark on both legs, my right arm and parts of my torso. Due to being misdiagnosed at birth (my parents were told it would fade over time), I did not start laser treatments until I was six years old. I received over 75 treatments within 6-7 years with only small improvements. After developing skin ulcers (and ultimately had a skin graft) from severe scarring on my shins – I decided to stop all treatment. However, a few years ago, I began laser treatments once again and have seen some great results! Growing up, I dealt with low self-esteem and so many insecurities. Now, as an adult, I am learning to love my birthmark and have found strength and positivity in my uniqueness. I am so excited to help raise awareness for VBF and vascular birthmarks!